Hot off the success of their hero princess lash mascara selling out for a third time this year- essence are treating beauty fans to yet another high performing beauty product that won’t break the bank. Shoppers declared the £3.30 mascara beloved by celebrities ‘the best they’ve ever used. Lash Princess, is designed to give a dramatic ‘false lash’ effect and devotees claim the formula stays intact for up to 13 hours. A long-time favourite of beauty insiders, the purse-friendly product is now making waves in showbiz circles with fans including Ashley Roberts and Dani Dyer. So it’s safe to say fans will rejoice at their next launch and now thanks to essence, achieving your dream skin won’t cost you anymore than your early morning flat white! 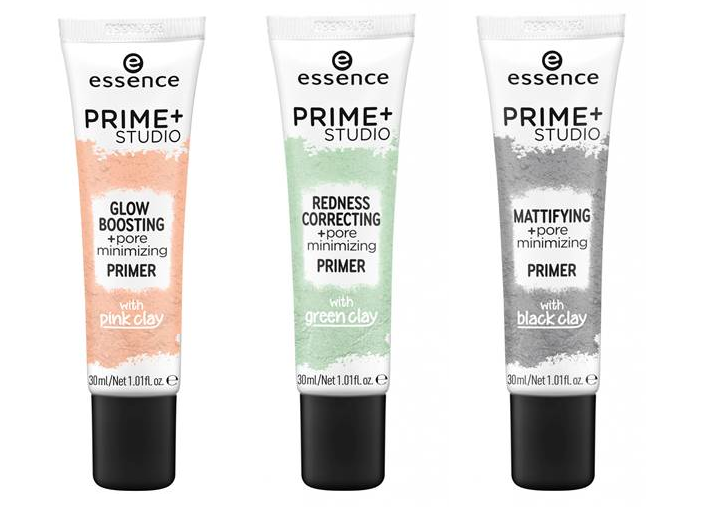 Whether it’s to mattify, boost your natural glow or hide redness you can have three primers to suit your different daily skin needs for £3.50 each thanks to their new prime+ studio pore minimising primers. the glow boosting primer (£3.50) contains pink clay to refine pores and bring out your fresh, radiant face. the redness correcting primer (£3.50) contains green clay to refine pores and conceal areas of redness. whilst the mattifying primer (£3.50) contains black clay to target unwanted oils and combat shine throughout the day. Available from Wilko’s stores nationwide and https://www.wilko.com/.